Designed for Intro to Information Science (IS2000) at Pitt, Matt created the Pittsburgh Specials site, with the help of countless other group members, but did the coding himself. The site makes use of PHP (for scripting), MySQL (the back-end), and Cascading Style Sheets (for styling). The content of the page comes from the collection efforts of other group members as well as Matt himself. In addition, if the site was to be continued, it would be beneficial to implement a way to update the site without knowing SQL (admin interface). Perhaps an automated "screen-scraping" of other sites that conglomerate the information displayed would be beneficial, but more difficult to implement than static information. 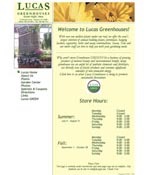 The online presence for Lucas Greenhouse in Rochester, NY was created by Matt and Eric Richie. There was a combined effort between the two designers/coders to produce the website under the pseudonym company TGTE or Two Guys and a Text Editor. 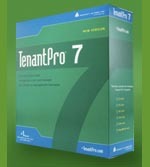 Matt attempted to set up and configure a commercial property management system called Tenant Pro 7 at a company called Encore Properties. Matt has completed an internship for the Geographical Information Sciences (GIS) department of Level(3) Communications satellite office in Pittsburgh, PA, Fall Semester 2007. Level(3) owns and operates a nation-wide (and Europe-wide) fiber-optic network, as well as many metro-level fiber-optic networks. During the internship, Matt analyzed as-built diagrams of fiber installations (CAD drawings) to determine where the newly acquired network actually lies. In addition to this, he, as well as other interns, compiled a manual which details this process so that others know how to complete the process in the future. Over the past few summers while school was not in session, Matt has been in Rochester, NY doing computer repairs for My Computer Guy, a veritable "swiss-army knife" of computer-related services. There, Matt repaired software problems, hardware problems (especially laptop-hardware), set up networks and consulted on all things digital. Growing soley based on word of mouth, My Computer Guy has grown to the company it is on great customer service and honesty with the customer, as well as very competitive prices. If you live in the Rochester area, MCG is the company to call for all your computer problems. Support your local computer repair shop today! Currently, Matt is designing a professional website for The Law Office of Diane O'Hara Mendick.